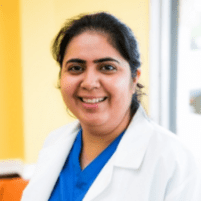 Dr. Navleen Kaur Thind, DDS, is a highly trained and experienced dentist practicing in Hamilton, NJ and East Orange, NJ. She provides all general dentistry services including, but not limited to, Extractions, Fillings, Whitening, Scaling and Root Planning, Crowns, Bridges, Root Canals, Quick Ortho/Invisible Braces (Six Month Smiles®), Dentures, Oral Cancer Screenings, Smile Makeover, Kids and Children's Dentistry, and Mouth Guards. Dr. Thind aims to provide the most advanced and pain-free dental care to our patients at very affordable prices during times that suit them the best. 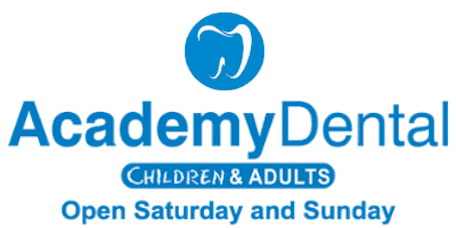 The brand new Academy Dental practice is warm and welcoming to all members of the community seeking dental treatment. Dr. Thind uses the most advanced equipment and techniques available including digital x-rays, Zoom Whitening and Six Month Smiles®. The office includes a game room with an X-Box and a separate meditation and healing room, to allow patients a variety of options to unwind and relax from their day, before or after receiving treatment. Dr. Thind trained at the New York University College of Dentistry and is certified by the National Board of Dental Examiners. She completed her General Practice Residency at the University of Medicine and Dentistry of New Jersey. As a proud New Jerseyan, Dr. Thind currently lives in the nearby Lawrenceville community. She is an active community volunteer with local school activities and annual fairs. When she is not providing gentle and caring dental services, she spends time with her husband and two children, practices yoga and travels. Dr. Thind's practice welcomes you to make your appointment conveniently online 24 hours a week, or by calling us . We accept walk-ins., and offers appointments seven days a week. She accepts all major insurances and is welcoming new patients.